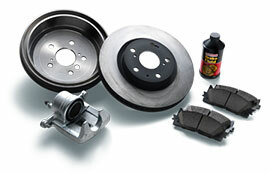 Help your Toyota perform at its best by equipping it with Genuine Toyota Parts. 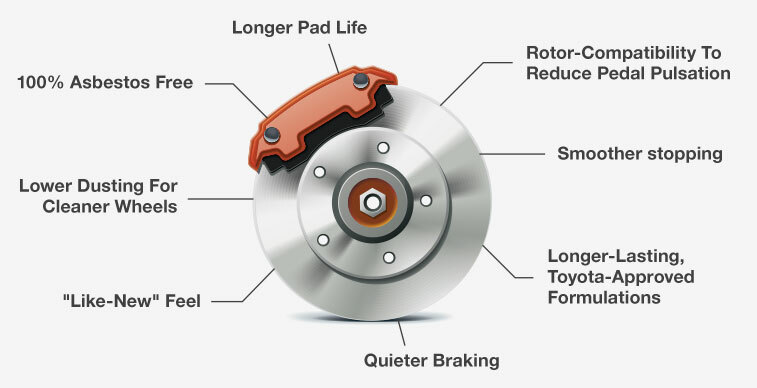 Our Toyota brake supplies and parts have been specially engineered to provide superior braking performance and smoother stopping, while producing lower amounts of dust and a quieter ride. 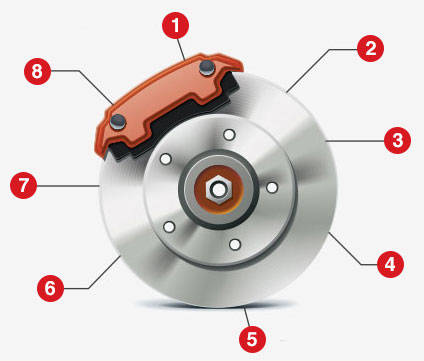 Since our brake pads match your Toyota’s original equipment quality, you’ll receive the same great performance you did the day you drove it off the lot, and your new parts will last longer than any generic alternative. Generally, when you consider your Toyota’s performance, you’re thinking about its “get up and go” capabilities: horsepower, fuel economy and towing capability. But in that same vein, stopping is just as important, and our Toyota Service Center at Rusty Wallace Toyota is committed to your vehicle’s performance. 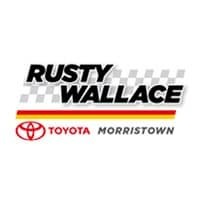 When the time comes for your brakes to be replaced, make Rusty Wallace Toyota your first and only stop.